As the speed of memory semiconductors increases, you demand more from them. That increases the design complexity of memory modules. 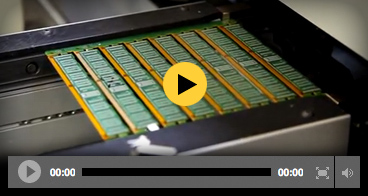 Our advanced engineering and design capabilities enable us to meet the needs of OEMs for modules that wring the highest level of performance out of the latest memory chips. Every VTG module is designed to withstand HPC/NEBS server class applications. We pay close attention to JEDEC specs and trace length. We cross-certify our designs on multiple motherboard platforms. When we complete a design, the BOM is locked down and will never change without advance notice of any revisions. All BOM part numbers are tracked, including PCB, DRAM, die revision and discreet components. That’s how we deliver a consistent product and give peace-of-mind to your supply chain managers and engineers.